At Eleven South, our food philosophy is simple – a taste for every palate and a palette for every season. Our menu is the centerpiece of the dining experience and features an exclusive variety of seafood, steaks, fresh fish and pasta dishes. Our open flame mesquite wood grill is our distinction and adds delectable flavor to many of our signature dishes from our signature Black Grouper to our steaks and appetizers. 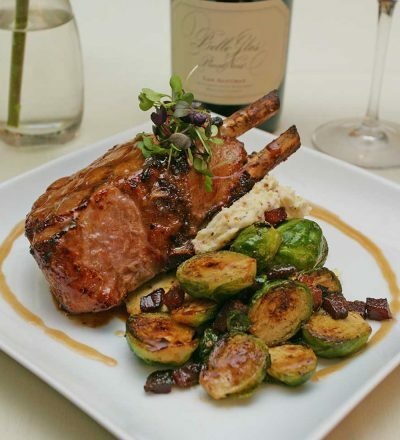 Please browse through our menus below, and let our friendly wait staff suggest a great wine pairing with your selection.